I’m teaching a class at Studio Calico called Chaos Control and it starts tomorrow! You can register through the 31st of March. Document More. Clutter Less. 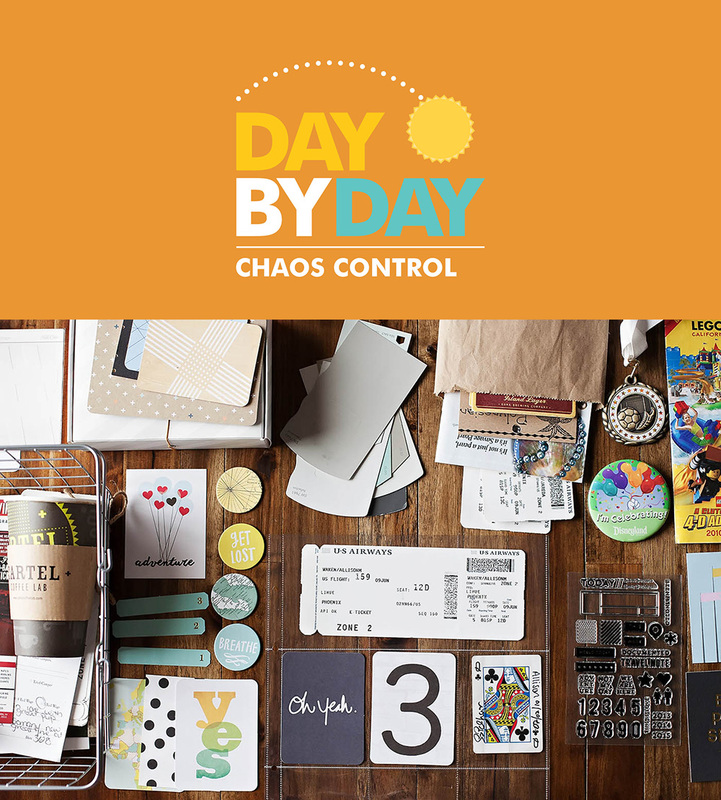 Lists, tickets, receipts, tags and other memorabilia can add so much to the story in your Project Life® album, but it’s easy to become overwhelmed with all the bits and pieces you collect. In this workshop, we’ll share ideas of memorabilia to save, how to keep it organized and accessible, and then explore fun ways to get it all into your album. 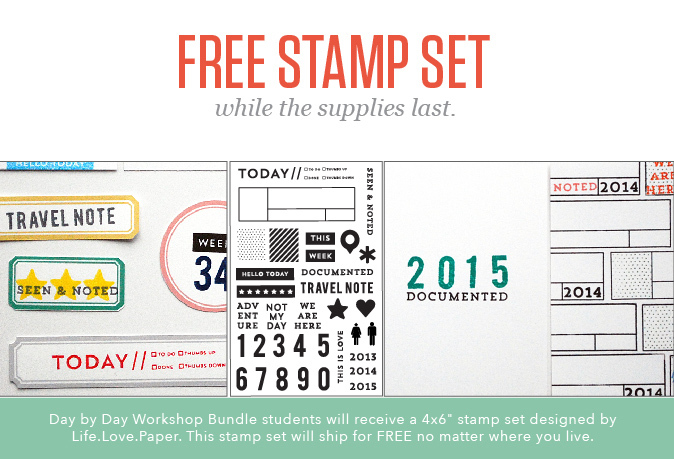 The Chaos Control class is $10 BUT you can still get the full year of Day by Day classes (5 workshops) for $40 PLUS the free stamp set is still available (while they last) so I definitely recommend getting in on that if you missed it the first time! Access to a class message board and gallery, where you can share and learn with your teacher and fellow students. Weekly challenges to inspire you to use what you’ve learned. I am so excited about the contributors and inspiration they can share with us throughout the month! Memorabilia to me, is one of the best parts about scrapbooking (besides the photos). I can’t wait to see all of your ideas and work in the gallery. Who will be joining me? !